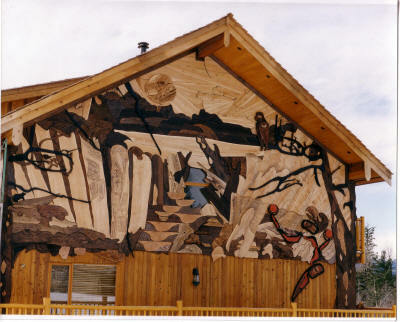 EXTERIOR MURALS at Echo Valley Ranch Resort, a 5 star dude ranch, outside Clinton, BC. 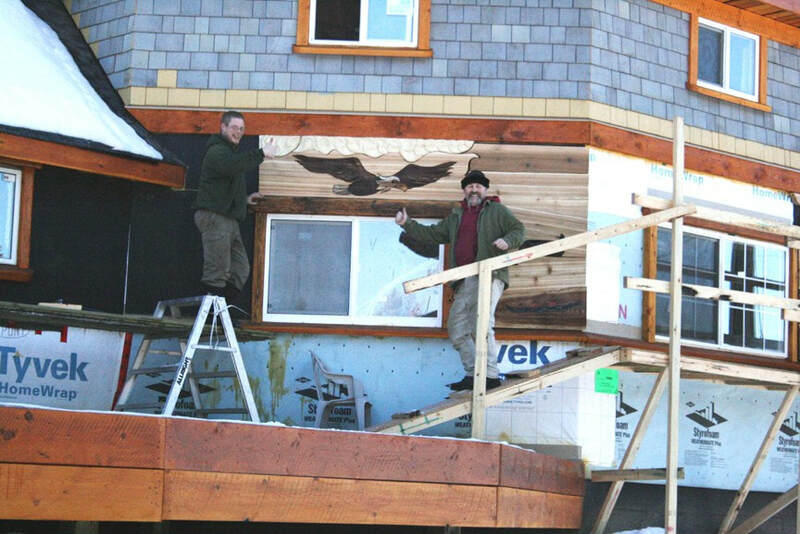 This year long project began with the smaller mural showing the local mountain range and an eagle. ​We continued with this larger building's murals, which turn both corners and continue on the next walls. 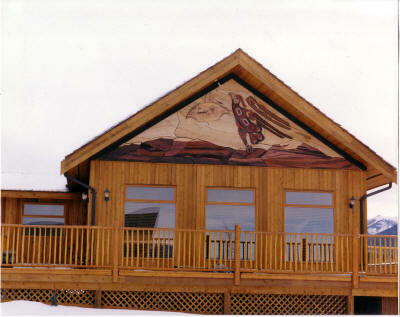 "Deka Lake House" murals were created for a private contractor, for a custom home near 100 Mile House. 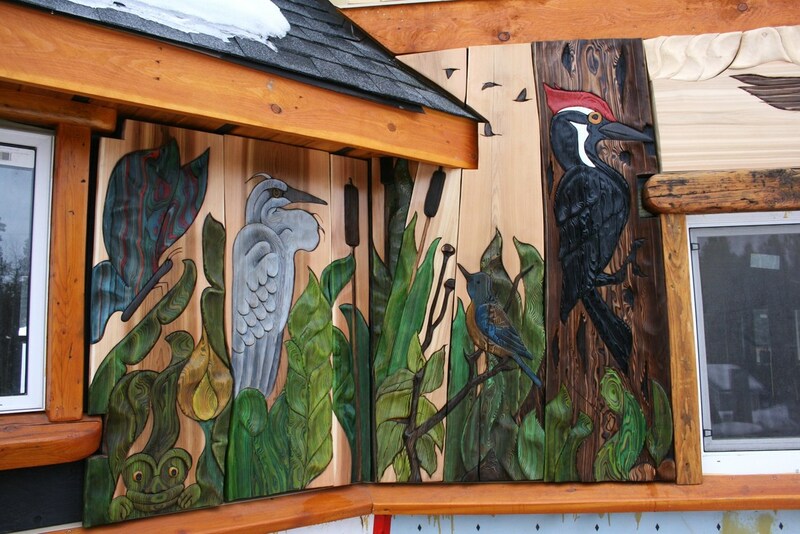 We did 8 major wall panels (12' x 5'), and all the 'fiddley-stuff' around the doors and windows at the entrance. Birds, butterflies and small animals were integrated at child height on the decks.